Ron has been with the family business since 2009. 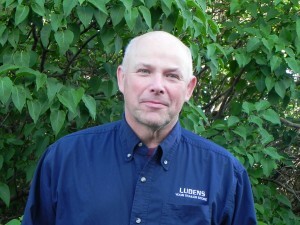 Prior to working for Ludens, he had an independent repair business for cars, trucks and tractors for 20 years. He also was a mechanic for John Deere for 10 years, IHC dealer for 2 years, and Cenex for 2 years. He and his wife Dianne have 2 daughters (Rachel and Randi), 1 son (Ryan), and 2 grandchildren (Aiden and Cassidy). Ron enjoys car/bike rides, camping, yard work, gardening, and spending time with family.